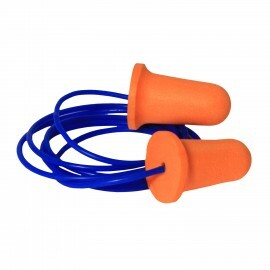 Earplugs are designed to protect your hearing from damaging sound levels. Not all earplugs are alike, however. And the same goes for people’s sound protection needs. 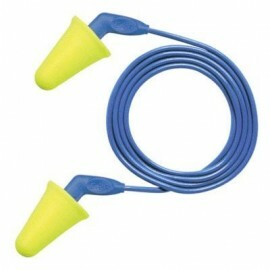 You will be faced with a host of options when you explore our extensive inventory of earplugs. To make the best choice, we’ve compiled a list of topics that you’ll want to consider before making your purchase. What are the benefits of disposable earplugs? One of the core differences between earplugs is whether they’re designed to be disposable or reusable. But this discrepancy hardly impacts the features you’ll find in your earplugs. 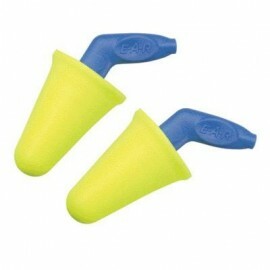 Both disposables and reusable ear plugs come with many overlapping features. 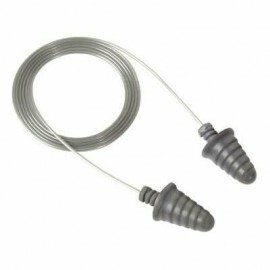 If you’re looking for the highest level of sound protection, for example, both earplug types can offer that. And the list of similar features goes on. The main difference, however, is in durability. Disposable earplugs degrade quicker than their more durably built counterparts. And as such, they hold up better to usage. But as far as features are concerned, there are few differences. Another benefit of disposable earplugs is that they make upkeep easy. There’s no need to worry about keeping your disposable earplugs sanitary. Simply throw away your old pair and put on a new one. Reusable earplugs offer no such luxury, although, the affordably priced ones make throwing away worn pairs less of an issue. While some people may prefer to reuse their earplugs, other people are perfectly content with throwing them away after usage. 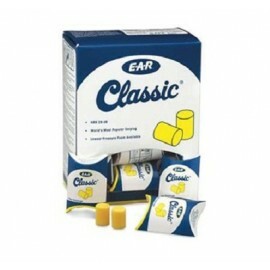 This promotes good ear health, as there are some health risks associated with reusing earplugs too many times. In the end, the issue of disposable versus reusable is a matter of preference. There are cost benefits to reusing earplugs. On the other hand, there may some downsides that are worth exploring. Feature-wise, reusable and disposable earplugs do not drastically differ. What are the main differences between earplugs? Earplugs typically differ in a few ways. These are: the level of noise reduction they offer, their shape (and the considerations therein) and their durability. These three points encompass most of the factors that separate earplugs. Your needs may vary, so you should look at each category in terms of its importance within your application. You may be more concerned about comfort, rather than noise reduction, when it comes to your earplugs. As such, you should pay careful attention to the shape and material of your earplugs, as opposed to the level of noise protection they can provide. 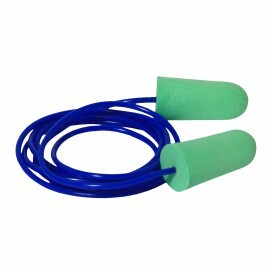 These EAR Push-In uncorded earplugs are easy to insert and don’t require the use of the roll, pull and hold method. For those that are unfamiliar, some earplugs require this method of insertion for proper fitment. To do this, simply roll the earplug between your fingers to compress the material, pull back on your earlobe to expose the ear canal entrance and insert the earplug (hold still until it expands to fit into your ear). What is an NRR rating? An NRR (noise reduction rating) rating shows how effective a pair of earplugs is at reducing surrounding noises. It’s measured in decibels. For example, if a given set of earplugs promise to reduce outside noise by 10 decibels, they will have an NRR rating of 10 db. 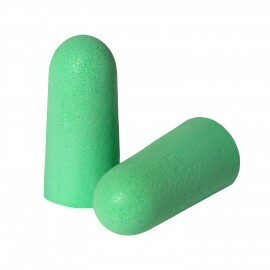 At Enviro Safety Products, we carry earplugs with NRR ratings as high as 33 db. The EARsoft FX Uncorded Earplugs offer the highest NRR available. 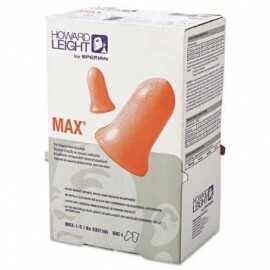 These earplugs are designed to offer the maximum available protection from high noise levels. What should I look for in a disposable earplug? 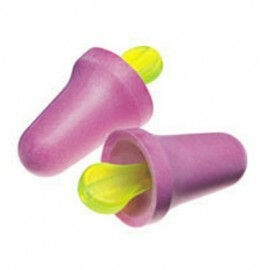 A disposable earplug should not differ greatly from a reusable one. If you plan on wearing your hearing protection device for an extended period of time, comfort should be a preeminent concern. If you’re uncomfortable while wearing your earplugs, then there’s likely an underlying fitment issue. There are a handful of other considerations, too. If cost is a concern, you may need to watch your budget when making your purchase. However, don’t forget to consider durability before placing your order, in the event that you want to wear your disposable earplugs more than once (some disposables hold up to multiple wears quite well). As you may have already noticed, there are a lot of options out there when it comes to disposable earplugs. And not every one of them may work well for you, so you should be careful when picking the perfect pair. These EAR Push-Ins SofTouch earplugs are an excellent example of a versatile earplug – and they offer a 31 db NRR. 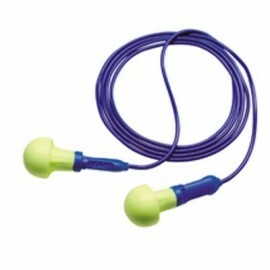 Before you purchase a corded pair, first think about how likely your earplugs are to fall out. If there’s no risk of your earplugs falling out (or if you’d be easily able to reinsert them), then you may not need to opt for a corded pair. Similarly, a band will keep your earplugs in place at all times. This offers an even greater level of fastening security than the corded option. With a band, your earplugs are certain to stay in place under most circumstances. 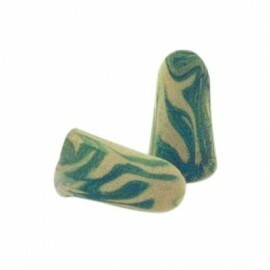 Why shop with us for your disposable earplug needs? With all of the options available when it comes to earplugs, it’s important to be exposed to all of them in one place so you know exactly what’s available. That’s why our large inventory – and extraordinary prices – is such a boon to customers. Our deals on safety products like earplugs and safety glasses and goggles keep our customers coming back. And new customers are always eager to return after shopping with us.